Everyone loves to laugh – and it’s even better when as many different people as possible are making that happen. So to celebrate International Transgender Day of Visibility, here are just five of the many fantastic trans, intersex and non-binary bloggers sharing their experiences, lives and humour on YouTube. Fox is a trans man who identifies as non-binary. He helped kick off the My Genderation documentary series that follows various trans experiences and perspectives (across 23 people) in the UK. 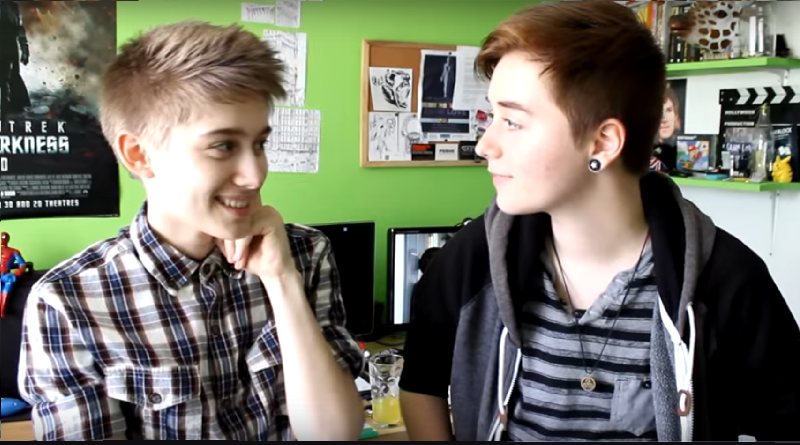 Lewis is Fox’s (above) partner in vlogging, with the pair the co-creators of the My Genderation series. He’s a comedy writer and filmmaker, who says: “I don’t identify as trans, but I am very open about the fact I am trans. It’s something that I am, but not who I am. Jamie is a student in his early twenties who identifies as a trans man and who has been vlogging about his experiences for over five years. Here’s one particularly striking video of his that went viral, where Jamie took selfies every day for four years to document his transition over time. Alex is another YouTuber from the UK who identifies as a trans man. His videos are sharp and witty, and accessible to anyone. ← What Are Sexually Transmitted Infections?